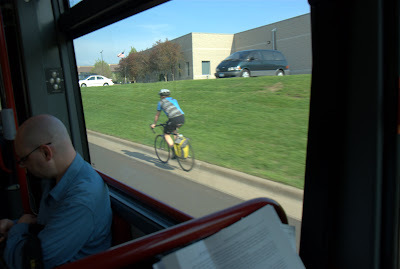 There's a dedicated busway from the Minneapolis campus to the St. Paul campus. It was opened to bicyclists too a few years ago. Here's one.